Diamond Color vs Clarity - Which is more important? 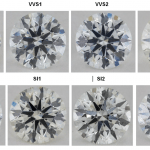 After knowing of the science of sparkle and why you should never compromise on the diamond cut, you probably wonder if the other 4Cs can be flexed to suit your taste and budget. 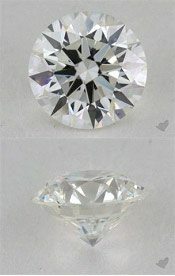 If the diamond cut requires only Excellent/Ideal grades by the top labs, is it the same for all the other diamond factors? Good news is, diamond color and diamond clarity can be easily compromised to get the biggest bang for your buck. There are tips and tricks where you wouldn’t even notice the difference with your bare eyes, and thus, save yourself a lot of money! Now, I often get asked by readers about diamond color vs. clarity, and which one is more adjustable to get the best price for the best diamond. Which is more important? In this post, I will look into this issue from all angles. We’ll start with a rough guide on how to compromise on color and clarity. Then, I will draw a conclusion and explain which one will give you the best deal for your money. Sounds good? Read on! I think we can all agree that opting for an eye-clean diamond (no inclusions seen with the naked eye) is one of the best industry secrets that you can discover before purchasing an engagement ring. In my experience, GIA diamonds with a clarity grade of VS1 or better are always eye-clean. 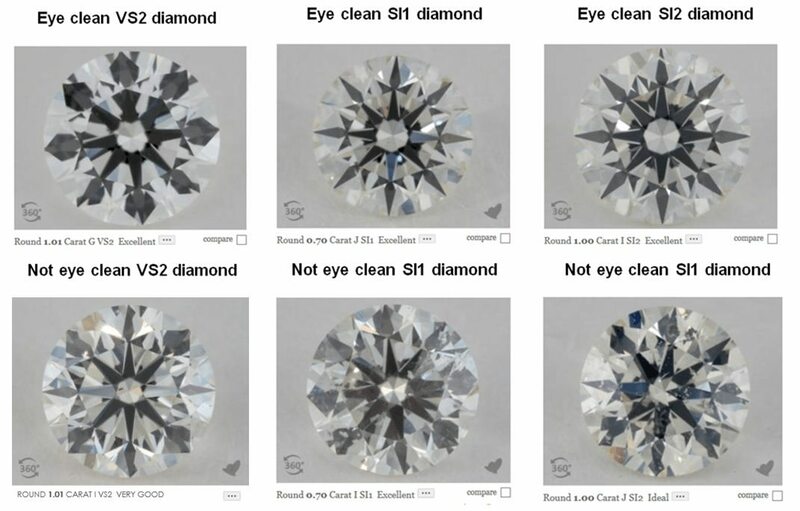 This is why VS2, SI1, and SI2 grades are the perfect clarity range to browse for low-cost eye-clean stones. The VS2 – SI2 range is comparably cheap, and there are quite some “gems” that can be found within that scope. You will also see “not eye-clean” diamonds in these grades, and this is why it is super important to have a close look at each diamond beforehand. You want to make sure you get an eye-clean diamond that has the lowest possible clarity grade like SI1 or SI2. These diamonds will be cheaper and can save you a lot of money. The best place to examine diamonds up-close is James Allen with its magnified high definition 360° videos and Super Zoom! Currently, there is no other online diamond vendor that can offer a deeper look for every diamond in its inventory like James Allen. However, you would have to take into consideration that you get to see 20x magnification of all the diamonds in James Allen. And its Super Zoom function lets you view up to 40x! The thing is, diamonds are always graded with a 10x magnification loupe. With James Allen’s Super Zoom, you’ll even be able to make out small inclusions in IF-graded (internally flawless) diamonds! Thus, to truly know whether a diamond is eye-clean or not, I would only have a look at the standard 20x magnification. If there is an inclusion that is starkly noticeable, then it’s NOT eye-clean. But if the inclusion is hard to make out in 20x zoom (or only from a certain angle), then it’s probably eye-clean. The more time you take, the more likely you will find eye-clean diamonds within the magic range. The bottom line in compromising on clarity is to make sure your diamond is eye-clean. Everything else wouldn’t make sense as noticeable inclusions immensely distract from the beauty of the gem. As you can see, the variance between color grades is pretty evident when viewed from the side of the diamond. You might see a difference between a D and a G if they are held next to each other. Furthermore, it’s exhibited so well in the examples above because you are looking at loose diamonds. But once your gem is set on a ring setting, it will pick up some of the metal's color and won't seem as tinted as it is. 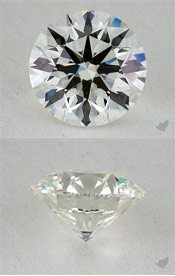 Diamond Color vs. Clarity – So, Which One Should You Prioritize More? Once you have an eye-clean diamond and you cannot see any inclusions with your naked eye, a better clarity grade won’t be necessary. You could be lucky and have found an eye clean SI1 or SI2 stone. Because if you compared it to an IF diamond, both would appear the same to the naked eye! With the diamond color, however, it is different! I do have to admit that I find it difficult to distinguish a D and an F diamond! On the other hand, setting a D and a G diamond apart is quite accomplishable. Thus, the diamond color is something that you would appreciate with your bare eyes if you make an effort to go for a better color grade. 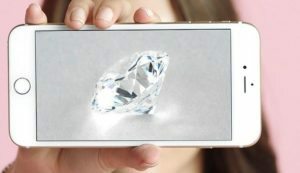 I think that it is wiser to prioritize the diamond color, BUT only after you have made sure that your gem is eye-clean! Thus, if you want to get the biggest bang for your buck, I would begin by filtering for diamonds within the VS1 – SI2 clarity range and try to look out for an eye-clean stone. The money you save on clarity can then be reinvested in color – or better yet – a bigger carat size! Thank you for your inquiry. I am happy to help. The best resource to determine the wholesale market value, not retail value for diamonds is the Rapaport Price Guide. See below link. Hi there…. please help me decide on which would be the better option. Am looking at 2 diamonds…. Price for both is the same. What would you suggest? I would recommend the one with better cut proportions. And it’s also important to see if they’re eye clean or doesn’t contain any visible flaws. Color and size are subjective. Although I would always go for a G-VS2 for the best bang for the buck. I feel like G and H are told apart as G is whiter to some. So a GSI1 might be a better investment if the SI1 is truly eye clean. What do you think about this and also about a price tag of about 43K? You’re right, G is usually preferred and if it is indeed eye clean, you can go for as low as SI1. The price will also depend on the cut, but I searched at James Allen and found more affordable diamonds with your preferred specs. Check them out here. Kindly refer to this guide on cushion cut diamonds. I see a diamond thats 1.9 Carats, E color, but SI2 clarity. Cut is very good. Polish and Sym are very good but a strong blue fluresence. Thoughts? 18ct old band. 3 round brilliant cuts, total carat weight of stones is 1.52ct – 0.87 centre stone and 0.65 between the two side stones. Colour H, clarity SI. Unfortunately I have no other information. Is it a good buy at €6.5k? I can best determine if it’s a good buy with the exact cut proportions since the diamond cut is the most important factor. But you can get a guesstimate of the price with the specs available to you by trying out James Allen’s filter tool. Could you please let me have your thoughts on the diamond on this link….. I would always recommend an excellent/ideal cut for optimal sparkle. The diamond on the link has a “very good” cut grade, and it’s cut proportions are outside my recommended proportions for round cut and super ideal cut. It also has a deep pavilion that will make it appear smaller than it is. Please refer to the standard proportions of a round diamond in this post to assure you’ll have a brilliant diamond. Hi Sebastian. What do you think about these two which is better? 0.75, J, SI2, VERY GOOD CUT. 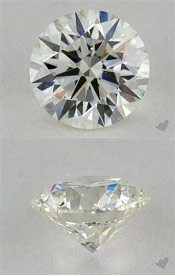 Since we should always prioritize the diamond cut, I would choose the second one that has a Very Good Cut. But I urge you to look for an Excellent Cut and make sure it’s eye clean or there are no visible inclusions to the naked eye since SI2 and sometimes VS1 may still have diamonds that aren’t eye clean. awesome page with helpful guidance, thanks so much! Quick question, Which would you choose of these two? Many thanks for your help, really appreciated! Thanks, glad to be of help! It’s a tough choice as both diamonds are excellent and within super ideal cut proportions. At this point, you may choose the one that looks good to you or the one where you can save more. Can you please provide the crown angle and pavilion angle? They’re the most important proportions in the diamond cut. Thanks! Your diamond is within my suggested cut proportions. It also has a nice color and is fairly priced. I just hope it’s eye clean or there’s no visible inclusions/flaws. If it is, then it’s a good buy! I have 3 round diamonds to choose: a) 1.50 Carat, Excellence Cut, E color, SI2 clarity b) 1.70 carat, Excellence Cut, H color, SI2 clarity – same price as a); c) 2.00 carat, Excellence Cut, H color, SI1 clarity $6k more. I like the whiteness of a, the price of b, and overall stats on c (except price). What is your assessment? I do not have more specific measurements. They are from a reputable jeweler and not man-made. Hi Sebastian. Wow, all the information you provide is amazing- thank you! I was initially looking at this one, but thanks to all the info you provide and the HCA rating I decided against it. Thoughts on both? 2) .97 ctw- 5.57 x 5.33 x 3.98 (has copies of GSI & Gemex Report); Near Colorless I, Clarity of VS1 and Polish Symmetry: good/good (no treatments). I have not seen this stone in person but it looks good in pictures. It scored very high in 2 out of 3 categories (fire & sparkle) on the GEMEX Light Performance report. Which one do you believe would be the better option? Can you please provide the cut proportions (table, depth, etc.) of the diamonds so I can give you a detailed evaluation? Thanks! Hi I need help…. can you let me know if this diamond is eye clean? The diamond is not eye clean, but it’s inclusions on the upper right side won’t be too visible if viewed in normal size. It’s a good deal for a Very Good Cut, but I would still recommend looking for an Excellent Cut for the best sparkle. Read about my post on Princess Cut Diamonds to know more. 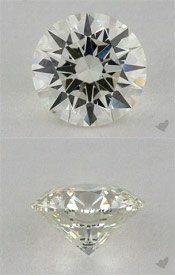 the 1.24 CT diamond costs 1.5 k more , which would you go with? is it better to with the larger diamond at a worst cut? Can you provide the diamond cut specifics so I can give a better analysis? By the way, I would always recommend an Excellent/Ideal Cut. I found two one diamond necklace. But the price is almost double up with D color one. I am not sure it is worth to buy D color one? The price almost doubled not just because of the color, but mainly because of the H&C or H&A Cut. It’s the highest of all cut grades and exhibits a distinct pattern. I would always recommend going for an excellent or ideal cut. H&A is even better, but of course, pricier. And to be honest, you won’t really see the difference in color between F and D with those carat sizes. So it’s best to opt for the best cut grade, opt for a G color, then go bigger on carat size. Many thanks Sebastian for your helpful advice. I will look for more option as you suggested. Hello, please could you advise me on a diamond I am looking to purchase. It can be found on the following link – https://my.hrdantwerp.com/?id=34&record_number=%3Ccertnumber. I am going to get it made in a Tiffany style with 4 claws. Could you also give me a ball park figure of what you would expect the stone to cost? I would recommend opting for an excellent or ideal cut as the diamond cut determines your stone’s sparkle. Diamond pricing differs depending on the 4Cs and other factors. But take a look at these diamonds from James Allen. They’re set according to your diamond’s proportions but with excellent cut. I was hoping to get your opinion on the diamond below. We have purchased it for $4100 to go along with a simple rose gold solitaire setting. Initially, I was uncertain about the L color grade, but the diamond was so brilliant, flawless and just beautiful in person and I couldn’t see a difference between other J/K diamonds we viewed. Would love to get your opinion on our choice. Thank you in advance! The Rose Gold setting is a great choice as it makes the L-colored diamond appear whiter than it is. As for the measurements, the table is a bit off by almost 2% since the standard round cut proportion is 52.4-57.5, but all the other specs are within the standard proportions. I would usually recommend an eye clean VS2 clarity as any grade beyond VS2 is unnoticeable by the naked eye. Your diamond will appear brighter with the right table and you’ll save money with a lower clarity grade. However, your diamond is still excellent and if it looks good to you, then you’ve made the right choice. Thanks for responding, Sebastian. I appreciate your feedback! I would only recommend an excellent or ideal cut and the proportions above are way off. Please refer to this diamond cut guide – cut is the most important factor in the diamond 4Cs. Could you give any advice on purchasing a lab created diamond like from Brillant Earth? Hi! Thank you so much for this article! 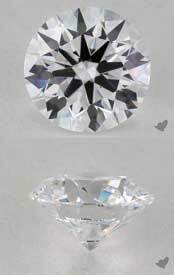 What do you think of this diamond (dimensions below): 1.50 carat/I color/VS1 clarity. I have chosen to make cut and clarity the most important factors, however I am worried about the color in a platinum solitaire ring setting. The 360 video and image online looks extremely white face up, but I am not sure if I can trust that. Should I worry so much about color? I do not want to go up significantly in price and I think I have selected well in the other aspects. The HCA says Very Good, worth buying if price is right. As for color, I would recommend a G color for your chosen carat weight. You may go as low as SI1 or VS2 in clarity as long as it’s eye clean or there aren’t any visible inclusions. Could you take a look at the diamond I am strongly considering purchasing? My main concern is: with the planned white gold pave setting, the I color may not show well when viewed from the side. I think it would face up quite nicely. I’m not sure I can justify a G color with the significantly increased price. The color on the sides won’t matter when your diamond is set on a ring. The important thing is the face-up view. you may also opt for J-colored diamonds on your pave setting to make the center diamond appear a little bit whiter. The yellow tint on these tiny diamonds will be pretty evident against the white gold ring, but it will make the center diamond stand out. hi. great article and thank you for the advice! would you mind giving me your recommendation between these two? would really appreciate it. thank you either way! Thanks for your feedback! I would only recommend an excellent/ideal cut as it assures utmost brilliance, fire, and scintillation in a diamond. Very Good cuts can be good alternatives in some cases. For clarity, make sure that the images you’re seeing are the actual photos of the diamond. It should be eye clean and backed by a legit grading lab. 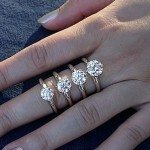 Take a look at these round diamonds at James Allen to see what I mean. are platinum bands the way to go? I wanted to keep my ring under 1500, but i’m thinking this one maybe worth it.. what do you think? thank you for your help. It’s not always the case. Platinum is a great choice for anyone being allergic to white gold. Other than that, white gold is less expensive and requires less care in terms of re-polishing the ring. Check out my post on engagement ring metals to know more. All of these diamonds are around the same price. Since there are no cut proportions indicated for the third diamond, I chose between diamond 1 and 2. Both have excellent dimensions, but the crown angle and pavilion angle of diamond 2 are more balanced. Thus, I would recommend diamond 2. Also the second diamond is NOT eye clean but hard to see the carbon is hidden. 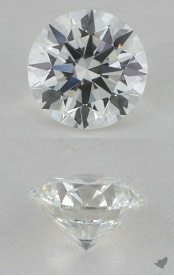 could you give me your recommendation noting from these details as to which diamond is the best investment from the three? waiting to hear, Barbara Thank you for your time ! This has been very informative for me. If the third diamond is eye clean, then it’s definitely the best choice for cut and light performance as it bears a more balanced crown angle and pavilion angle. But if you can’t make out the inclusion in Diamond 2 and it looks good to you, or you prefer a bigger diamond, then it’s all a matter of personal taste. Good luck! 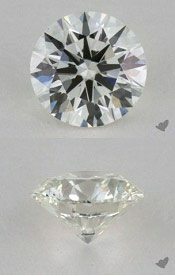 Which is the better diamond to choose? Assuming the cut is the same. This was a really informative article. Thank you so much for sharing. I am ordering a diamond with 1.01carat/I/VVS2 soon since this was the only one available in HK at the moment. It also says square modified brilliant since my gf wants a princess cut. Shape and cutting style – square modified brilliant, 5.54 x 5.51 x 3.93mm for measurement. What do you think of this ring? I would really appreciate your help in this. Thank you! Glad you liked it! Can you please provide the cut proportions of your diamond (found in the grading report) so I can give a detailed feedback? Thanks! I see. Got it. Thank you so much for your help, Sebastian! Would you be able to provide the cut proportions (depth, table, crown angle, etc.) of the diamonds so I can give you a detailed feedback? Thanks! Kind of restricted due to the setting at bluenile. Diamond 3’s depth and table proportions are closest to the super ideal cut standards (Depth: 61-62.5 | Table: 54-57). It’s also triple excellent and eye clean. Therefore, I would choose this one out of the other diamonds. Hope that helps! Do you think florescence matters? Both are medium. Sorry to hear that. But the good news is the James Allen diamond has better proportions than Diamond 3. Also, fluorescence shouldn’t be an issue as the blue tone is counterbalanced by its H color. Fluorescence is only visible on colorless diamonds (D-F). And some people actually prefer the blue effect. ICI report not GIA. What is your opinion on that? Thank you for an informative article. My question is about small calibrated stones. Is it better to go for clarity or colour? My proposal is to use six small (about .15ct each according to a recent valuation, by eye about 2mm or so) matched dark blue sapphires removed from a vintage piece, alternating with white diamonds in a yellow gold anniversary band. I may set the stones in white gold. I’m aware that the yellow gold may lend its colour to the diamonds. I seem to recall too that sapphires are heavier than diamonds, so the .15 sapphire may equal a much smaller diamond. Your thoughts most appreciated. Clarity would be irrelevant given the sapphire stones’ small size and dark hue. Thus, you may go for a better color and cut, even for your white diamonds. Thank you for your essay I learnt a lot reading from it. I am planning to buy a ring but I am having a really hard time deciding which one to buy. I also have the GIA report if you would like to take a look. Thank you so much for your time and expertise I really appreciate it if you could give me some advice. What a FANTASTIC site! Super informative!! Thanks, Taryn! I would recommend the best cut over any other factor. Opt for a G color and VS2 clarity grade and make sure it’s eye clean. Take a look at these search results from James Allen. I filtered for excellent proportions. Check out the advanced options and take note of these parameters. If you want to learn more about the best cut, here’s a a more detailed post. Goodluck! Diamonds from James Allen with similar specs as yours are a bit cheaper. But it’s difficult to say without the exact proportions of your diamond. Maybe you can provide the exact parameters indicated in your GIA or AGS certificate, then I can let you know if it’s indeed a good buy. Hi , sorry it took awhile to respond as I just received the ring. However. The cut grade is AGS ideal 0 for light performance, polish and symmetry. As for the measurement is shows 6.96 – 6.99 x 4.16mm, not sure if that’s what you’re asking me? 59.6% across, 12.8% thin to medium, 43.9% faceted , then left side says 59.7% down. I am now debating on exchanging for a better diamond? Please let me know your thoughts, thank you. You can actually go as low as SI2, just make sure your diamond is eye clean. By eye clean, I mean you shouldn’t be seeing any inclusions. G-F is a good color for 2-2.5 carats. And fluorescence is actually up to you. If you don’t want to see a blue tint, then you should go with no fluorescence, but if you enjoy the blue glow, then you may opt for a diamond with fluorescence. Hi there, I found a very dainty tennis bracelet (1.46 carats) that I am considering. Because the stones are so small and they are round cut and set in yellow gold, I’m thinking that I can get away with the clarity (JK) and color (I1). Could you weigh in on this? I’d so appreciate your opinion. Thank you! I would usually go for higher color and clarity for 1 carat marquise cuts as the body color and inclusions are more evident. 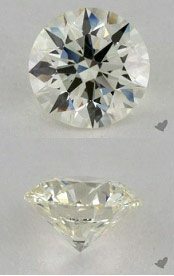 But if your diamond is eye clean (no visible inclusions) and you’re okay with a hint of color then G-SI2 should be fine. Take a look at these diamonds with your parameters to have an idea of the pricing. Thank you, Sebastian, for this detailed article. I’m currently looking for an engagement ring and found the following two options for a diamond through an online website. Can you please let me know which of the following option should I go with? They are almost identical except for their color and clarity. Also, please let me know if Bluenile is a reliable website. I’ve never bought any jewelry in my life and have no idea if this is the best deal I can find. Between the two stones, the first one seems like a better choice simply because the second gem isn’t eye clean. As you can see, a dark inclusion is pretty evident at the center of the table of the diamond. The first gem should be fine if you’re not too picky about color. Nil flouroscence. $15k AUD including platinum setting. The Holloway Cut Adviser isn’t really a selection tool, but a tool for weeding out diamonds with a bad light performance. Unfortunately, it doesn’t take all the facets that have impact on the light performance into consideration. So, I wouldn’t recommend using it if you’re looking for the best cut. And since cut is the most important factor in the 4Cs, I would advise opting for an excellent/ideal as it’s much needed especially for bigger gems. The color grade depends on your preferences. If you can live with the subtle yellow tint of J color, then all you have to think about is the cut. Check out these diamonds on James Allen that has your parameters. They’re actually more affordable. Goodluck! Your comments are excellent and highly informative. Will u please tell the approximate cost of following diamond ring. Thanks for your feedback! Diamonds are priced depending on their manufacturer/vendor, so I couldn’t give you an estimate. But if you’ll look at James Allen’s filter tool here, you can get an idea of your 4Cs’ price range. Although I wouldn’t recommend a good cut, so if you can, please opt for an Ideal/Excellent cut to assure optimal light performance. Goodluck! Hi Sebastian. I am purchasing a rectangular radiant shape diamond 1 carat (or slightly under) on a white gold halo setting and I’m wondering if you can give me feedback as to what cut to choose, color, and clarity for the best bang for my buck? Your articles were extremely helpful. Last diamond I saw was E color and SI3 with an inclusion that was visible to the eye. Even my partner was discouraged. Any feedback would help. Thank you! Thanks for your feedback! Radiants’ large facets would require high color and clarity grading as they can easily display imperfections. I would always recommend the best cut possible and an eye clean stone. So, opt for an excellent/ideal cut and you may go lower in clarity as long there’s no visible inclusions. The sweet spot is between SI1-VS1. For color, I suggest F-G color. 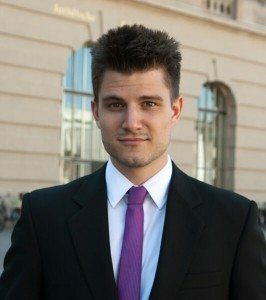 What is the best color, clarity to go for? So sorry to hear that. I’m sure you’ll find one that’s just as special. 🙂 Now, I would recommend VS1-VS2 for clarity and an H color if it will be set on a platinum setting. Actually, you may still upgrade carat-wise or opt for the best cut/proportions possible because diamonds in your preferred specs are usually priced lower than the budget you mentioned. Take a look at these diamonds filtered with your 4Cs on James Allen. Thank you for you reply sebastian! Si1/H Clarity and Colour GIA Certified for 7000 dollars is it a good price? Help please. Can you please provide the cut grade? I won’t be able to say much if there’s no cut grade as it’s the most important factor when evaluating a diamond. I would recommend an excellent of ideal cut. Although very good cuts are sometimes okay if the gem is within ideal proportions. Other than that, make sure it’s eye clean since it’s in the SI1 clarity range. I looked at a round brilliant 2.20 carat diamond today. The clarity was SI2, color was K and it was a triple excellent in polish, symmetry and cut grade. I’m not sure whether I should proceed with the process. I’m extremely hesitant about the color grade but the triple excellence really makes the diamond shine especially since the cut grade is perfect. It is also GIA certified. I do see a black carbon with my naked eye if I focus enough on the spot it is on which is around 6 o’clock. What is your opinion on this diamond and how much do you think I should spend on it? A Triple Excellent doesn’t mean much if the cut is not really perfect. GIA gives an Excellent cut grade to diamonds that are outside of super ideal cut proportions (34.0° – 35.0° crown angle and 40.6° – 41.0° pavilion angle). Also, if you can see an inclusion with your naked eyes, then it should be avoided. This is all I can say without seeing the diamond and knowing more about the exact proportions. I am currently looking at a 6.55 pear shaped diamond with 2 GIA certificates. it measures 16.60X11.49X5.11 proportions: table 45% table and depth 43.7%. The GIA describes it as a type IIa diamond. It is a VVS1 However, the color grade is L faint brown and has a faint fluorescence. Should I even consider this stone with the L color? 2. 1.17 crt, I color, vvs2, excellent cut, flourencr none. People are telling me to better get the F color diamond but for of course the I color diamond is bigger. Thanks for your feedback. 🙂 Now, let’s get to your query. F color is usually an overkill and an I-color diamond will still look great on any white gold or platinum engagement ring. Know more about The Best Diamond Color for White Gold Rings here. And if you can get more carat this way and the price is about the same, then the second option seems like a better deal. This is one of the most helpful posts I’ve seen! Thanks! Hi there, Howie! I would go for the latter because the grades better than VS1 won’t give you the maximum value for your money. Opt for an Eye Clean SI1-VS1 instead as they’re cheaper, but still bear superb quality in terms of clarity. Which one of these diamonds suppose to have more sparkle? h-vvs2 or the d-si1? They r both ideal cut an they r both over a carat! I would prefer G VS and G SI1 if they’re eye clean. And the importance of carat size depends on your liking. If you have a big budget, why not go bigger. But bigger isn’t always better as it’s all about the cut. I was able to find a E & F color at SI1 clarity at a local outlet mall for $4499 ea. It’s a $9,000 diamond and I got it for a steal. Guys out there, the ring is going to come in 3 parts: the Diamond, the band, and the head/labor…be sure to leave wiggle room in your budget. ie, if your budget is $6,000 try to keep the diamond around $4,000…the band and workmanship could cost another $2,000 depending if it has a halo or other smaller diamonds associated with it; or if it is platinum expect to pay extra. I wouldn’t recommend any of those. For one, they both have poor cut. As a golden rule, you should only opt for excellent or ideal cuts. Some very good cuts can also be exquisite gems, but you should still check the proportions first. Another thing is, it’s hard to find eye clean stones in the I1-I2 range, so it’s best to go higher in clarity grades. Aim for the sweet spot which is the S12-VS2 range. Lastly, they’re both too expensive for their characteristics. You can find cheaper diamonds with better proportions online like what James Allen offers. What is the fluorescence of a diamond? I see none; faint; med blue & strong blue. Which is the most desirable? Desirability actually depends on your liking. Diamond fluorescence describes a diamond’s response to UV light. And the most common color is blue which applies to around 98% of all diamonds with fluorescence. There are however diamonds with white, yellow, green, and even pink fluorescence. is “SI2 Z Color” good? There are a few factors to consider a diamond good. First is the cut. Does it have a great cut? Always opt for an excellent or ideal cut. Although, in some cases, very good cuts will do. Next, do you like this color? Then, for SI2, is it eye clean or is there no visible dark inclusions? The only way to know – if not in person – is to see its photo or video in 20x magnification like what James Allen offers. If you’ve said yes to all three and the gem is backed by GIA or AGS, then that diamond has good quality indeed. Hope this answers your question, cheers! Since all of them have the same cut, except for the last one, I would exclude the worst cut of the bunch. Given the same carat weight and color range, it then all boils down to the first three diamonds in terms of clarity. And upon seeing the gems in 20x magnification, it’s apparent that the first two contain dark, visible inclusions on the table facet and near the corner of the gem. So, since the golden rule is to consider eye clean diamonds, I would recommend the thrid one for you to pick. The choice depends on one’s preference. Would you like to see a more icy-white color (F-G) or would a hint of yellow (I-J) be okay? For the clarity, I usually recommend VS2 because it’s virtually eye clean and is much affordable. Although there are also eye clean SI1s as well. For VVS, you won’t really notice the difference when it’s compared to a VS clarity gem. Anyway, I’m having a tough time because of either declining site or just being overwhelmed by what you call Brick Store sales. We have a very well known Jewelry store here in Omaha called Borsheims but they seem to more for the Rich and Famous. I guess I’m looking for the perfect setup for my future wife. I’d like to get her something that our children would admire years from now after were gone but on a limited budget ($4 – $5K) with 2 – 3 Years of payments. Anyway, we came upon something called Canadian Rocks and they seem to provide allot of detail in regards to their diamonds and ideal cuts with their own grading system. I seem to be able to pickup the color is a bit more yellow for a clear diamond and they have SI1’s but I don’t seem to be able to pick out eye clean for a princes cut or is it even possible? I’m guessing with princess we need to go to much higher quality diamond? Anyway, through all of this turmoil I’ve learned that I need reading glasses and will have them in the next few days and so maybe the search will get easier. Thanks for your feedback! Canadian Rocks is a reputable company and Eye Clean SI1 princess cuts do exist. But, if you would like to see more choices and actually see the diamonds through 360-degree HD videos and up to 40x magnification, I’d recommend visiting the James Allen website. Virtually all their diamonds are graded by top US labs – GIA and AGS. Best of luck to your search! It is .70 H in color SI 1 GIA certified and they are asking 1600.00 is this a good deal? It all depends on the cut. If what you have is an excellent/ideal cut, then you should definitely ask more. Even more if it is Eye Clean or there’s no visible dark inclusions. Here’s the price range of your diamond’s specs in James Allen to give you an idea. Which would you choose between these 3? First one is $800 more than the last two. I would recommend an excellent/ideal cut, but if these are your only choices, I’d definitely pick the one with a better cut which is #3. Thanks for the info. Why is cut important? I am looking to upgrade my ring and was offered a diamond the following diamond D SI3 $5700. Because I don’t know much about diamonds, its hard for me to determine of this is a good buy. The diamond is certified but not GIA certified. Any help would be great. Cut is the most important characteristic of a diamond because it determines its light and visual performance. If your gem is cut in excellent proportions, then the light that will pass through in and out of it will be unobstructed, and thus, will give your diamond a superb sparkle! I would recommend a GIA or AGS certified diamond, but if not, make sure it’s Eye Clean. Meaning, you can’t see inclusions/flaws in 10x magnification. It’s best to see the diamond before buying because no two diamonds are alike even if they’re in the same grade. Why don’t you check out James Allen’s website for starters. 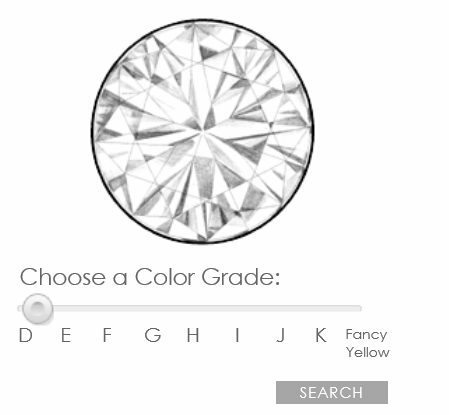 Use the filter tool to find a diamond to your liking, then view it with their 360-degree HD video. They’re currently the best diamond shop because of this technology. This will show you how various grades differ and eventually give you an idea if the gem you’re being offered is indeed a good buy. My daughter and her boyfriend are looking for an engagement ring. She wants 14kt or 18kt yellow gold. Would it be okay to go with an eye clean (meaning nothing visible to the naked eye) in an SI1 and be fine b/c it is in a yellow gold setting? Also because it is in the yellow gold setting it would be fine to get anything in a GH color? Thank you! Enjoy your day! I suggest having a look at the diamond in 20x magnification like the one in James Allen. By viewing the diamond up close, you can actually see if the SI1 is eye clean. And if it is, then that’s the better choice, given that you also prefer a more stylish setting. I was faced with choosing an I-VS2 diamond and another G-SI1 diamond. Both are completely eye-clean. After reading this post I decided to go for the G-SI1 diamond. It really makes more sense. yes if you have two eye-clean diamonds and the one has a better color grade than the other one than you should definitely go for the one with the better color grade! Hi Sebastian. Thank you for the informative post! to be honest I would choose none of these diamonds because I would only choose a diamond with the best cut grade. It seems to me as though you badly want to have a diamond with at least 1 carat. This is perfectly legit. But I would rather compromise on the color than on the diamond cut. You can easily tone down the color of your diamonds without having anyone notice. You can reference this table to pick a color that will look completely colorless depending on the diamond and ring setting. If you have any more questions, just contact me.